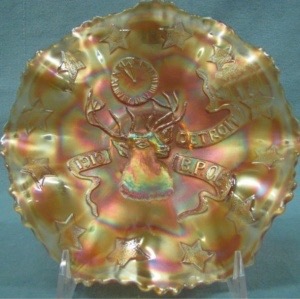 Pattern Description: An elk looking to the viewer's right is in the center of the pattern. 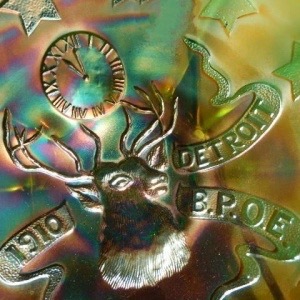 A clock is above the elk and banners read "1910 Detroit B.P.O.E. 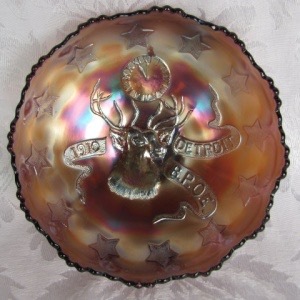 Stars around the outer edge. 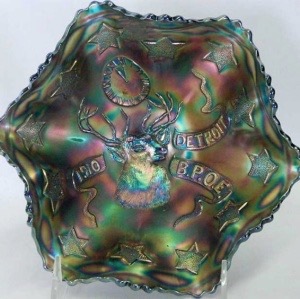 About Fentons 1910 Detroit Elks B.P.O.E. 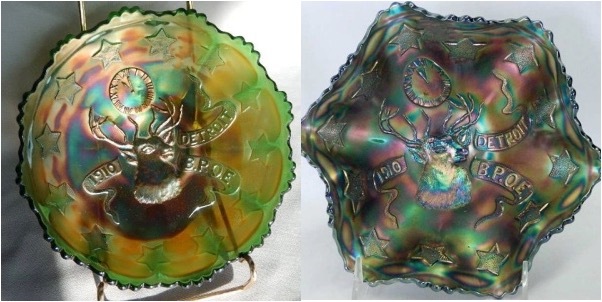 This commissioned commemorative pattern (for the BPOE, Benevolent & Protective Order of Elks) was made for the 1910 convention in Detroit. The elk in the center is looking to the right (so you only see one eye). - Measures 6 1/4" to 7 1/4"